Carolina boots are known for their durability and these boots are a perfect example of that. 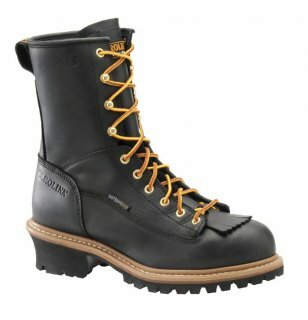 The boot has an rubber outsole that is built to make sure you do not slip and last for a long time. The Loggers are built with waterproof SCUBALINER™, which ensures you stay warm and dry all the way up your ankle to lower leg, is tough and durable. The steel toe cap will keep your feet safe and meet ASTM standards to guarantee you are safe.